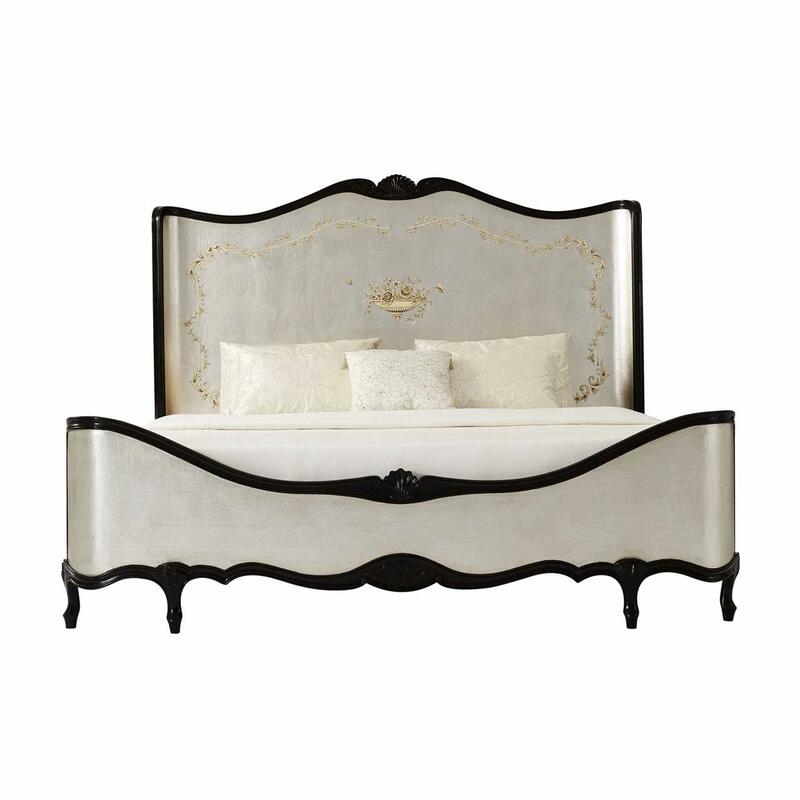 Description: New high-end, heavy king size bedframe. 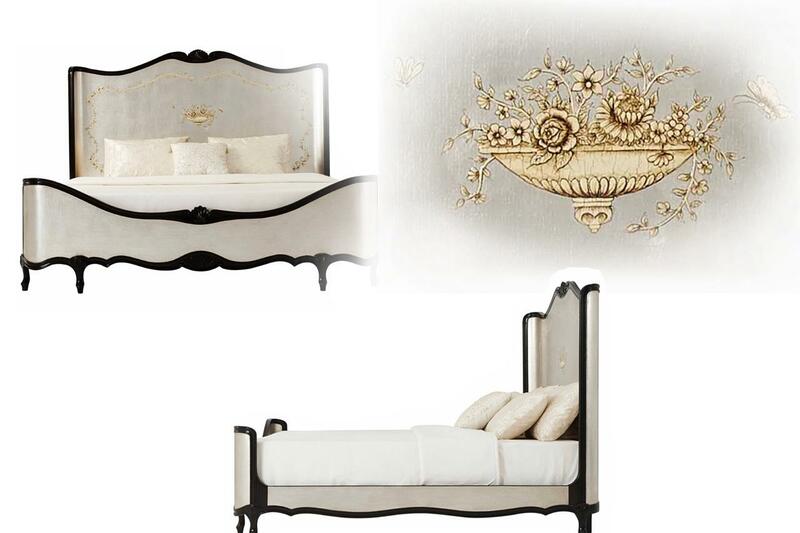 This bed can be custom ordered in different sizes, including Queen & California King. 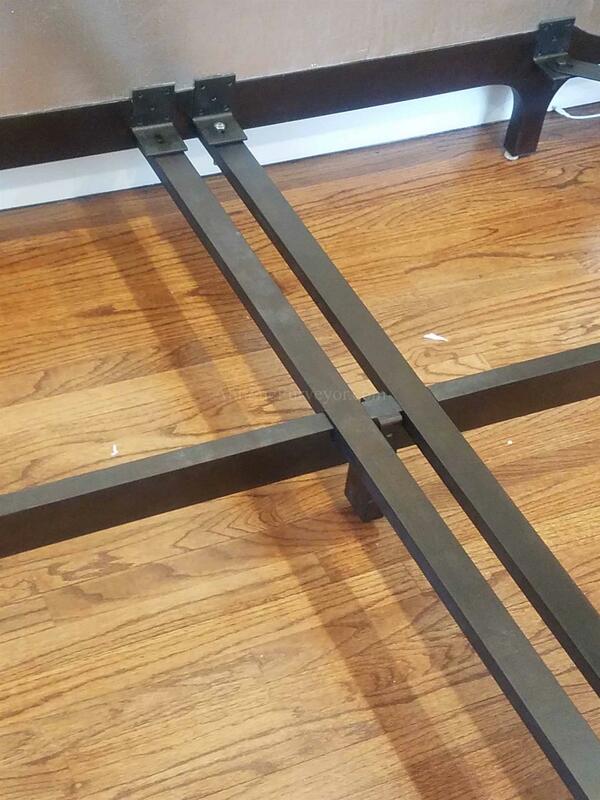 This is a very heavy and well made bed. 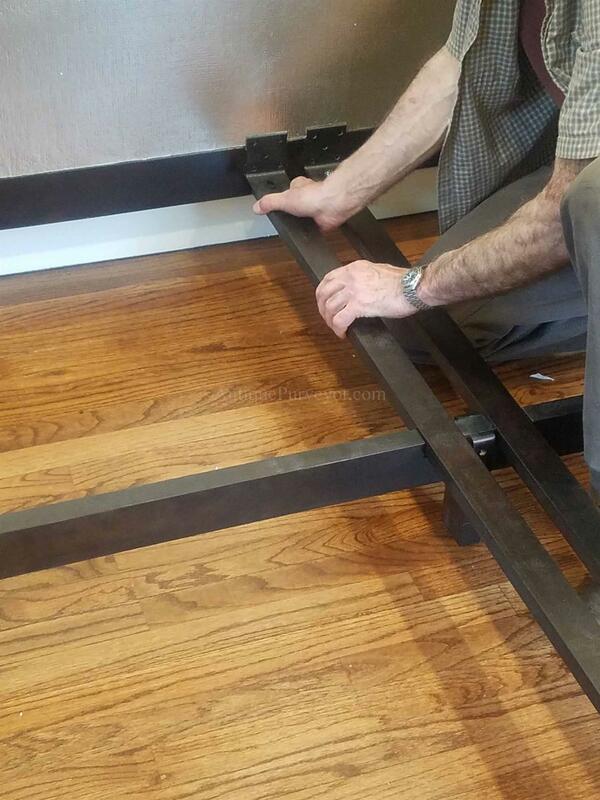 It took three men to move the headboard by itself, it is a designer grade bed fit for a castle. 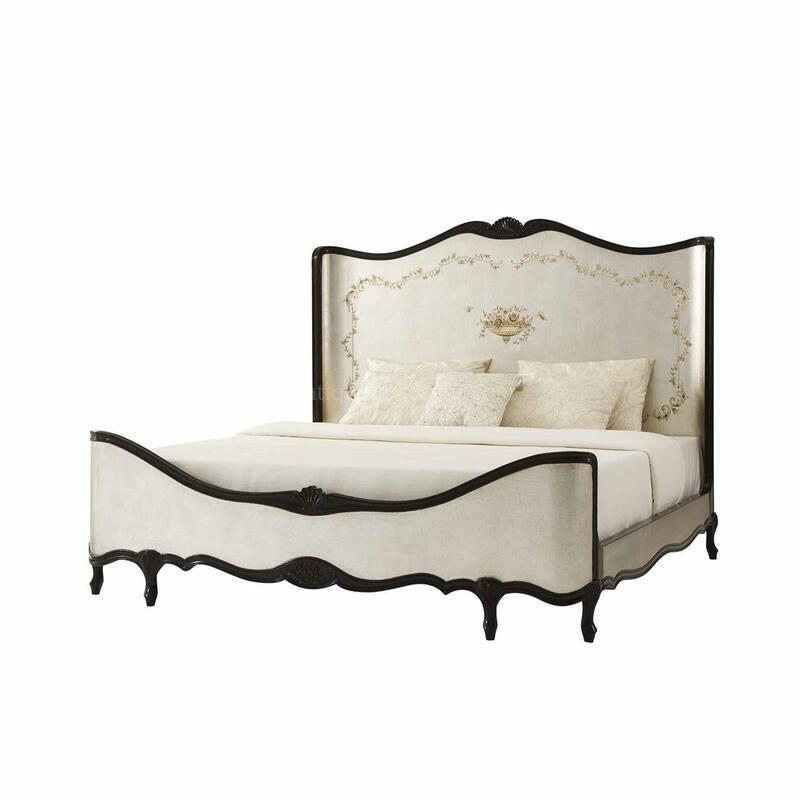 The shape of the headboard and footboard wrap around the bed and offers the bedroom a unique designer look. 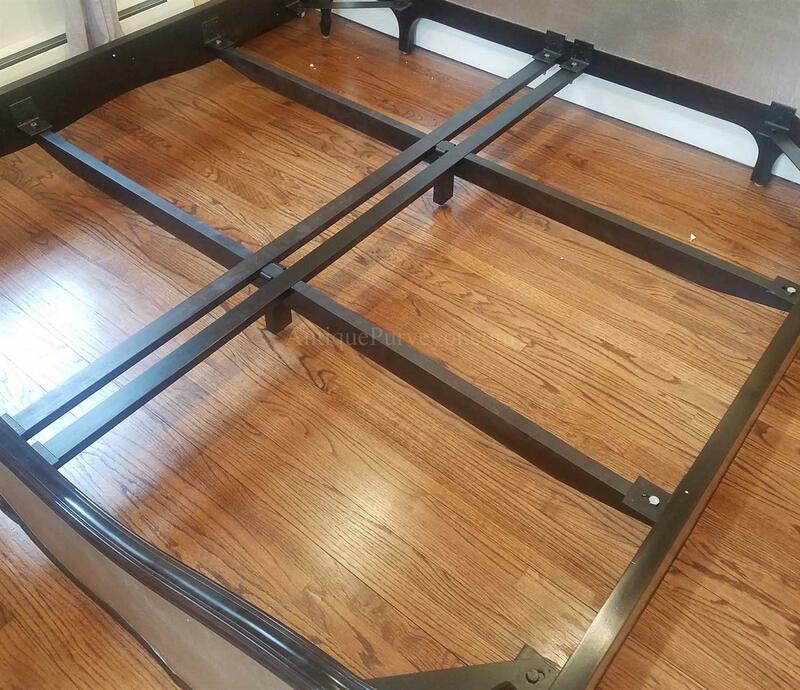 This bedframe is manufactured from scratch and these shapes are achieved by building custom plywood in thin layers around a special form so they shape of the bed will not want to return to a flat shape. 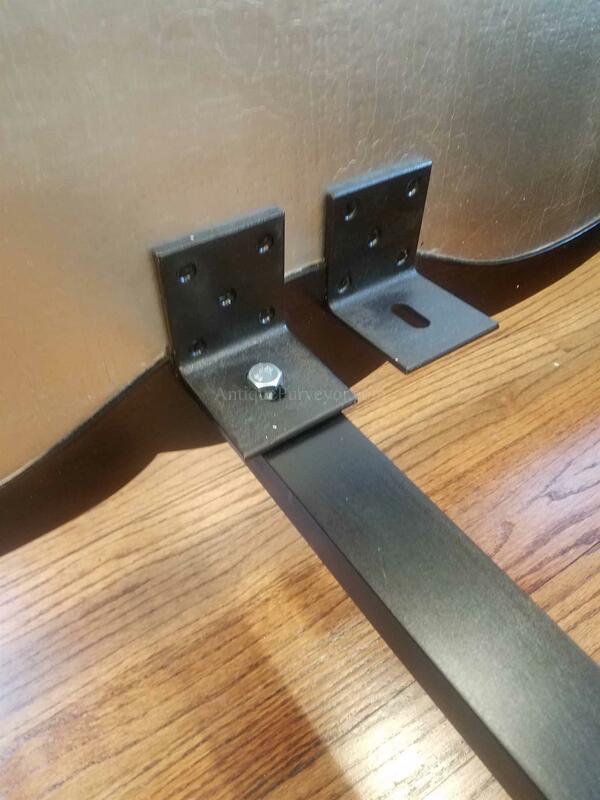 The siderails, footboard and headboard are made from thick material, roughly two inches thick. 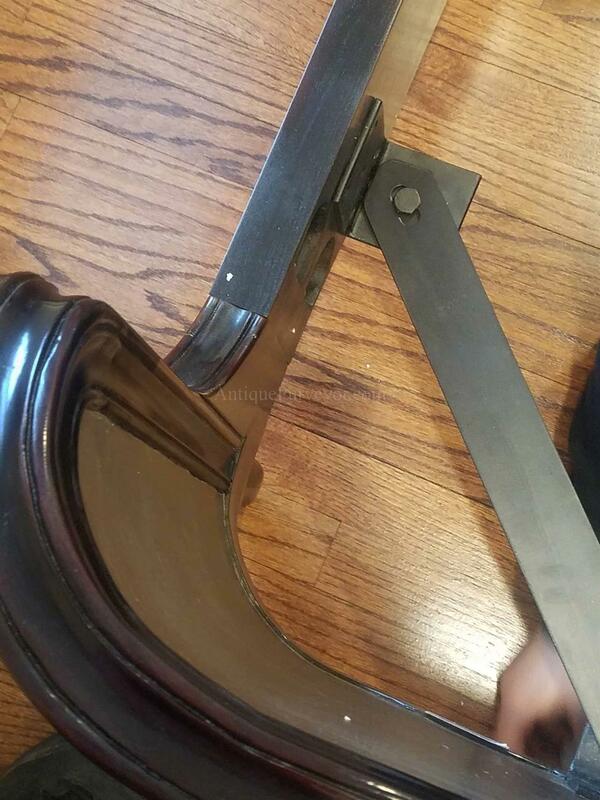 On cheaply made bed, youll have a thick frame but the decorated center panels are much thinner. 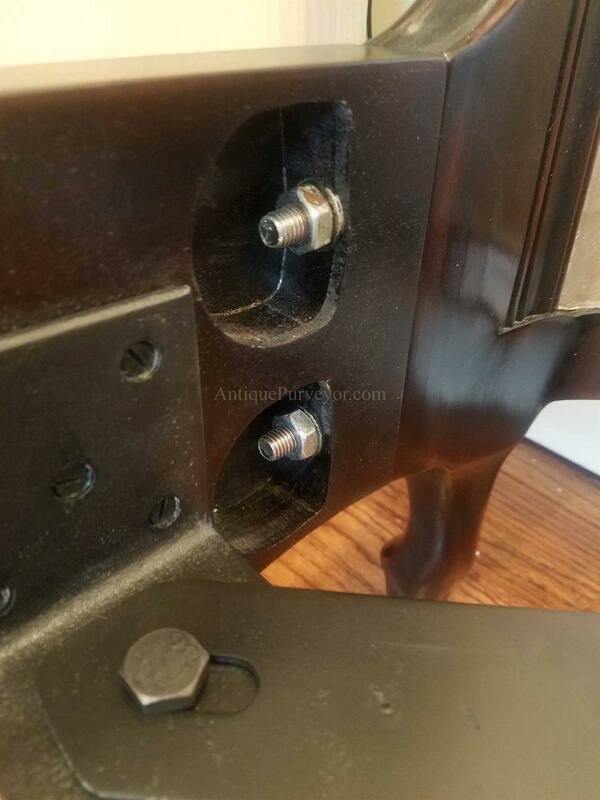 This is a high-end build. 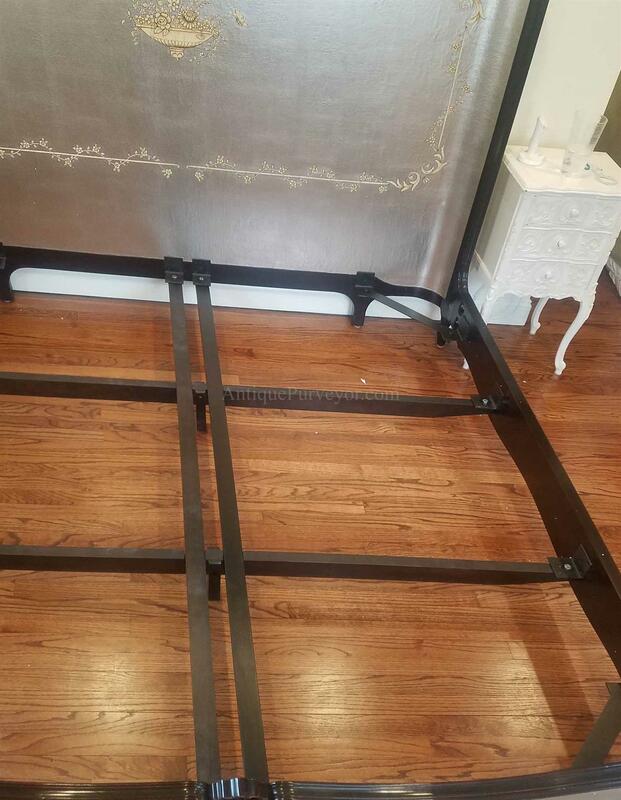 The individual components are heavy, when fully assembled this bed anchors itself like a rock and it has a super sturdy feel. 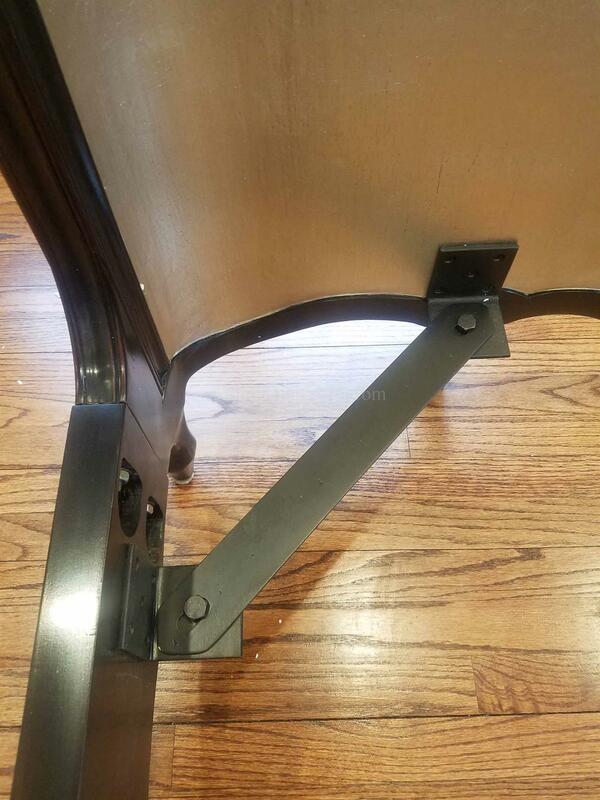 The center legs under the frame are there for support if needed, but they did not touch the floor when installed on location. 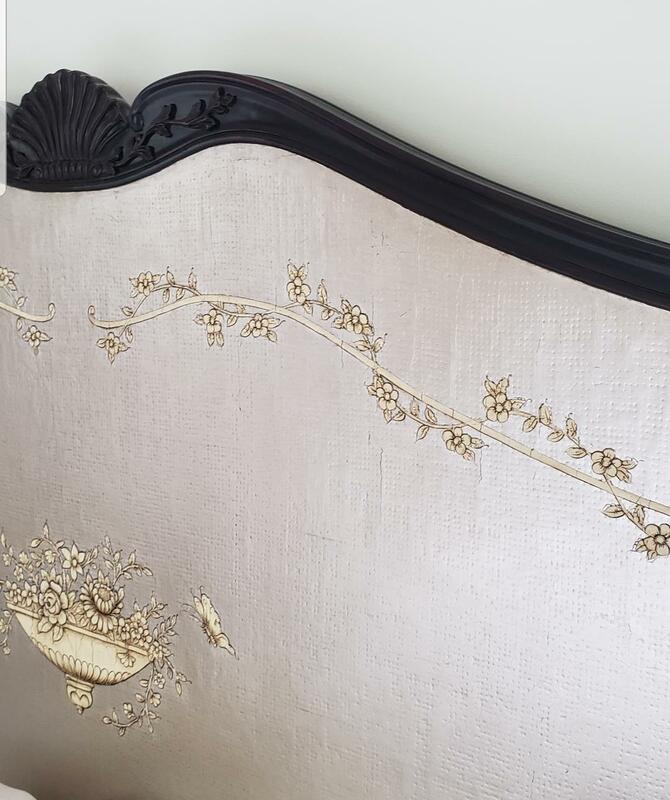 The finish is unusual and it has an old world charm, factory distressed crackled silver leaf and buttercream hand-painted florals make this bed perfectly fit for a transitional or traditional home. 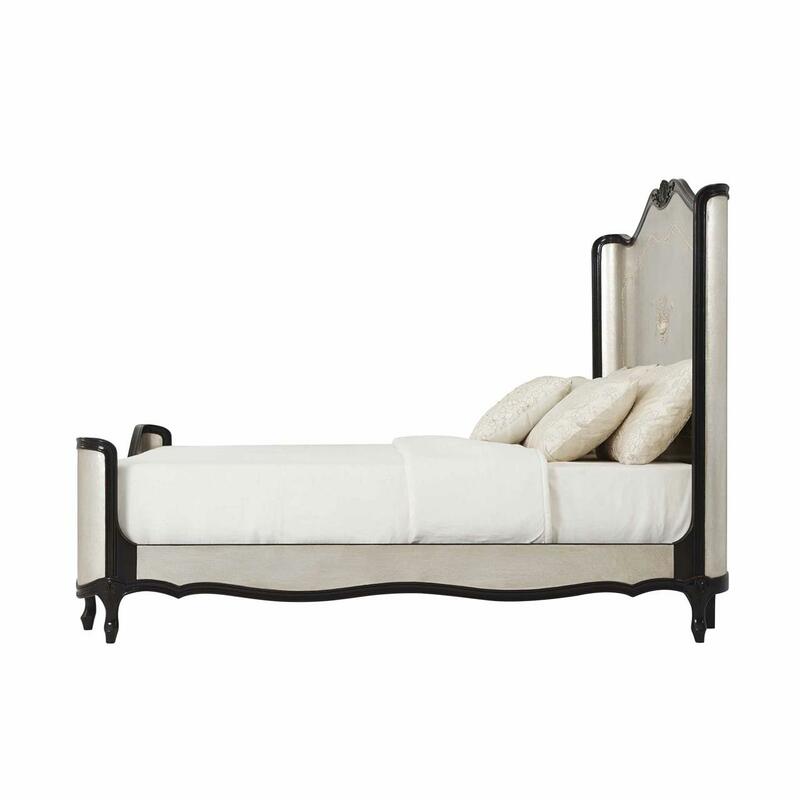 Bed has a traditional country French gabrielle legs typical of early European period furniture. 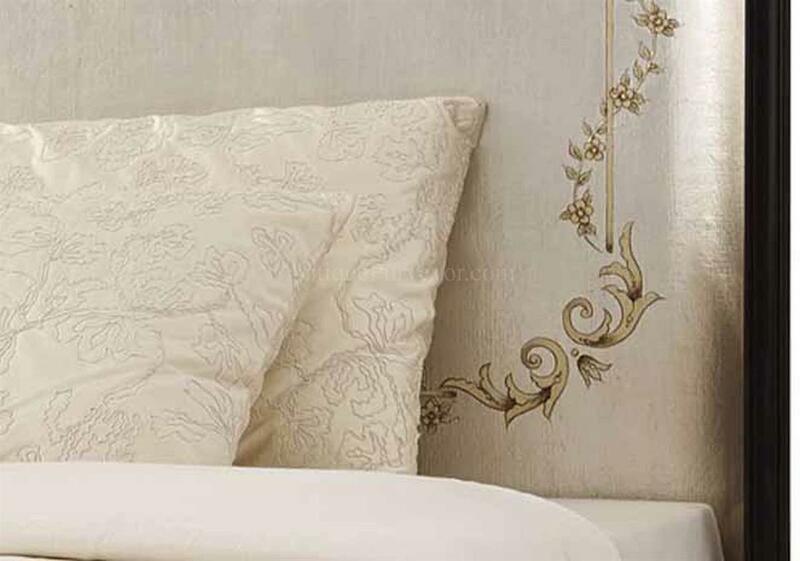 The factory distressed crackling silver leaf finish is quite reflective and it will reflect other colors you have in the room. 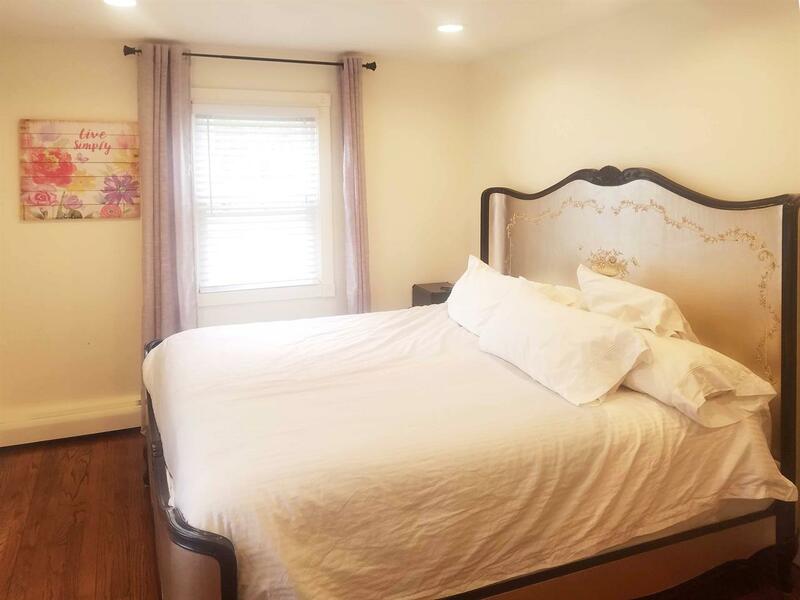 If you look arefully at some of the pictures of this bed on locatin, youll see hints of purple on the headboard which originate from the window treatments. 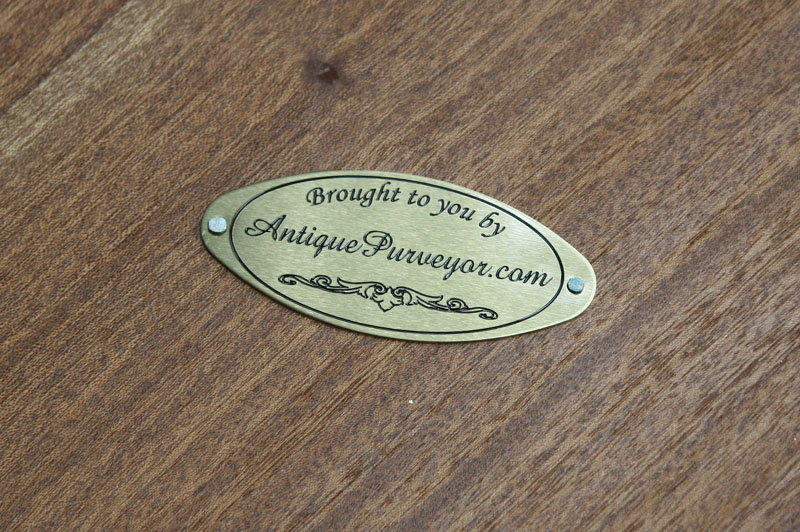 Matching nightstands and dressers are also available upon request.